Sweet potatoes are a vegetable that not a lot of us tend to eat but if you don’t like your normal potatoes then it’s worth giving these a go as they taste different. Even if you don’t like normal potatoes it’s still very much worth trying these out as they are actually healthier and sweeter tasting than you normal potatoes. Because of this, they can also be added to many different dishes and cooked in a variety of different ways which we are going to look at today. Firstly you will need to gather a few ingredients together to get the best from these oven baked sweet potatoes. 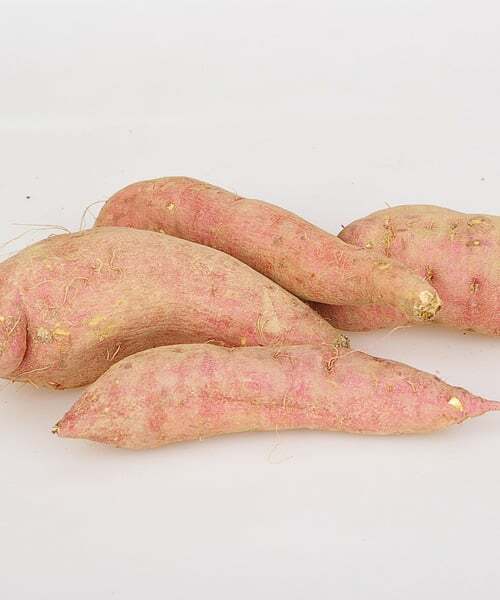 The first thing you will need is the sweet potatoes themselves and you get these for a decent price at any local supermarket or fruit and vegetable store. For this we are going to take 8 sweet potatoes which covers around 2 servings. Then you will need to grab some seasonings, usually just pepper and salt are needed here, along with 8 tablespoons of butter to give some taste to them. Before you begin to cook the potatoes you will want to set the oven to 400F and preheat it before adding the potatoes. Line a baking tray with baking paper, foil or butter/oil so the sweet potatoes don’t stick to the tray. Now wash the potatoes under cold water and remove any dirt or grit from the skin as we are going to be leaving the skin on them for nutritional benefits. You can either use your hand or a vegetable brush to do this. Once you have finished with that step make several piercings into the sides of each potato you about to cook, like you would with a jacket potato. Take a fork and just make several puncture marks to allow the heat to cook them quicker. Place them into the oven and leave the temperature at 400F, cook them for around 45 minutes or until they are tender. Once cooked take them from the oven and let them rest for 5 minutes before you cut them in half and then add your seasonings and butter to the top of them. This will make for a delicious snack for two people. The second way of cooking them is a faster way that the oven but the process for preparation is just the same. 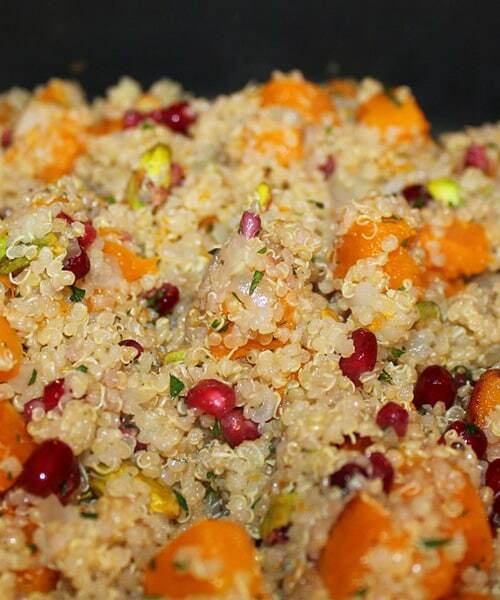 You will need exactly the same ingredients so keep hold of your pepper and salt, and have 8 tablespoons of butter ready to add to the tops of the sweet potatoes once they have cooked. 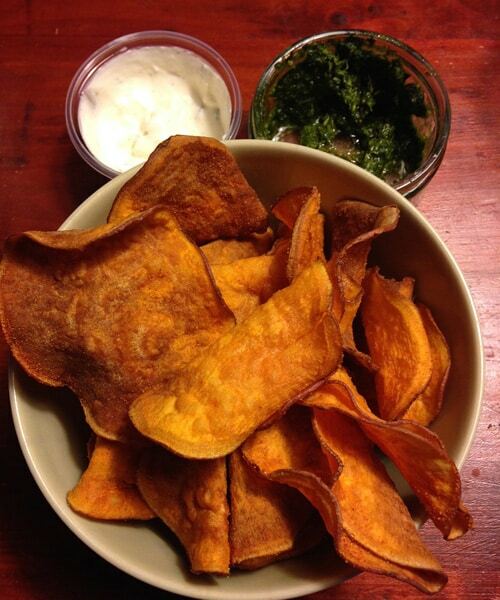 The butter will melt into the sweet potato and blend with the salt and pepper giving a mouth-watering taste. Wash your potatoes in cold water to remove the dirt and grit, and use a wire brush or vegetable brush to get to the tricky parts. Pierce them in the same way as the oven method, but this time instead of preparing a baking tray and foil we are going to use the microwave. 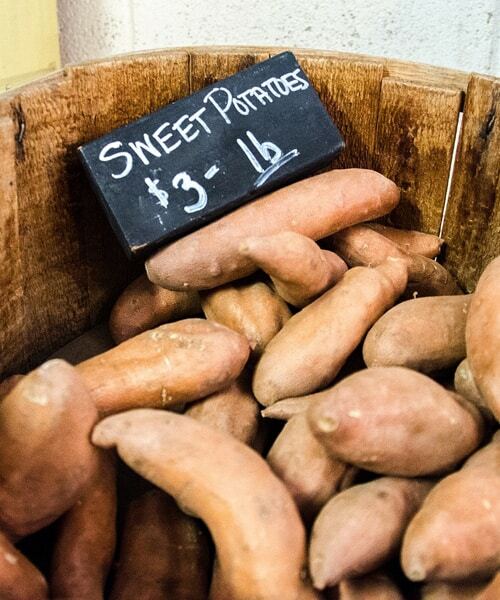 Its important top place the sweet potatoes into a microwave safe dish, and only put them in two at a time. 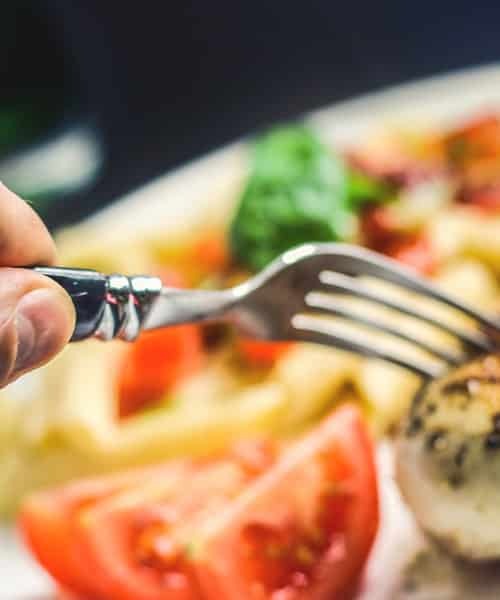 The real benefit to microwave cooking is simply that it takes much less time compared to oven cooking but you want necessarily get the same quality of taste. Usually two sweet potatoes will take roughly 10 minutes to cook through, and once cooked you can add your seasoning and serve up the potatoes. The final method in our selection of three ways to cook sweet potatoes is to mash them up, to do this you will need to peel the potatoes first and add some extra ingredients to your collection. You will need the usual salt and pepper, but you will also need 60ml of milk, 80ml of sour cream and slightly more butter (around 80ml). The best way to make mash sweet potato is to boil them, and the quickest way to do this is to peel all 8 potatoes and then chop them into cubes to reduce cooking time. Add them to a large saucepan of boiling water and cook them until tender (10 minutes). Once cooked you need to drain the water from the sweet potatoes using a colander and then begin adding the butter, milk and sour cream to the mix. Now use a fork or potato masher to start breaking down the potatoes until the mixture becomes smooth and takes on that mashed form. Finally you can add the pepper and salt and blend it all together thoroughly so the mixture becomes creamy. As an optional extra you can return the pot to the oven and cook them for a further ten minutes to return that lost heat that would have disappeared when you added the butter and cream. 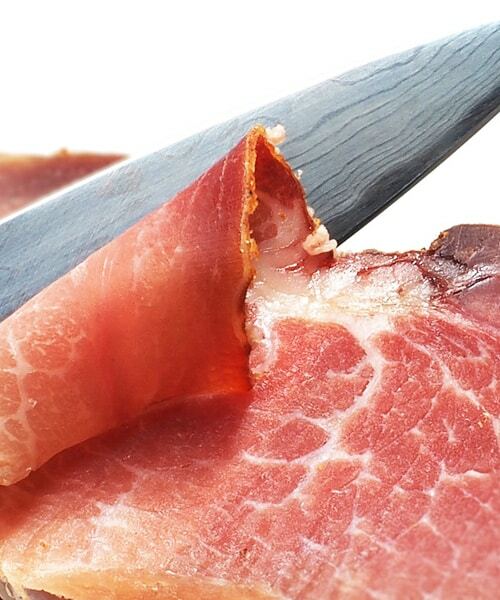 Ham is a great tasting meat and there is so much that you can do with a ham joint once you have cooked it. Whether you are looking to add it to pasta dishes, rice dishes, throwing it in a salad, adding chips and peas to it or having it as part of a nice Sunday roast dinner, the possibilities really are endless. 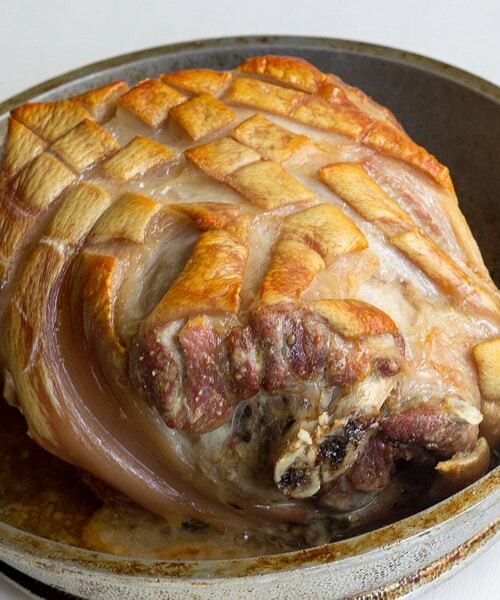 What most people tend to make mistakes on when it comes to a big ham joint is overcooking it, and what generally happens then is the meat becomes tough, dry and very chewy. 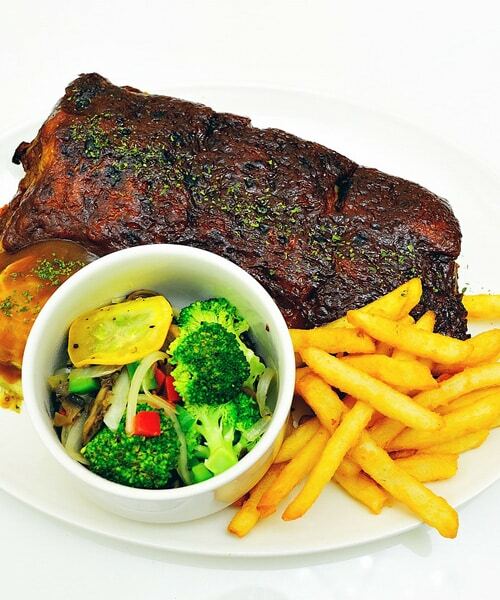 What you want to do is cook it to a level where the meat is juicy and tender. 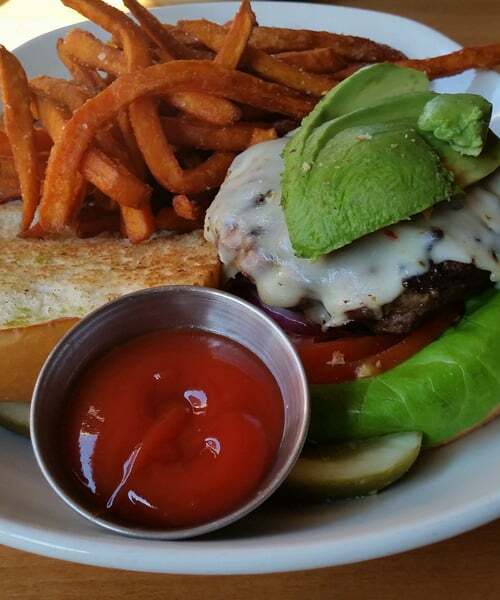 Our rule of thumb is that is it makes your mouth water when you take a bite, then you have done it right! You are probably thinking now isn’t a cooked ham, essentially just gammon? But you would be wrong as gammon is what we refer to as the raw meat, where ham is when the meat has been cooked. Firstly we want to do a few basic things before we begin seasoning the gammon and cooking it, the first is to soak the gammon in water to remove any impurities such as salts. Once you have done this you will need to know the weight of the gammon so that you know just how long to cook it for and when to take it out of the oven. Now set your oven to the 450F mark so you can preheat it while you prepare the meat for cooking. During the preparation stage the oven will heat up to a level that is right to introduce the gammon to the heat. The other method is to boil the gammon in which case you will need a large saucepan. Place the raw meat into the saucepan and then cover it with cold water and then bring that to the boil. At this stage you can begin to add you seasonings, and generally for ham things such as onions, garlic, peppercorns, bay leaves, or even cinnamon work really well at bringing the best out of the ham. If you are using the oven cooking method then you will want to rub some oil at the bottom of a roasting pan, and then cover the outer part of the gammon with some extra virgin olive oil and the seasonings of your choice. The oil will make the skin of the gammon nice and crispy which some people really do like. For the oven process you will then want to but the joint of meat into the centre of the oven and then turn down the temperature to 250F and let it cook for 30-50 minutes depending on the weight of the meat. Once it has finished cooking at this temperature take the gammon out and let it rest on the kitchen counter for a period of 10-15 minutes. All this does is allow the juices to redistribute themselves around the ham joint increasing the tenderness and moistness of the ham inside. Place some foil over the ham joint at this stage to lock in the steam and heat. If you have chosen the boiling option then usually you will cook the meat for around 30 minutes for each 1lb of meat the gammon weighs in at. You can remove the ham from the pan once cooked for that period of time and then glaze the outer part with the flavour of your choice. 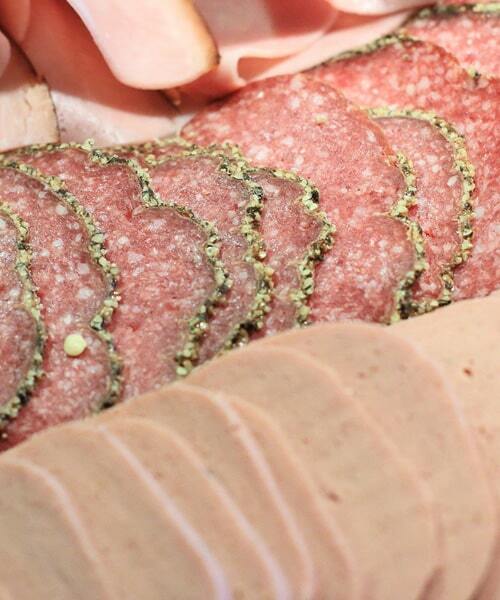 Maple syrup and mustard is usually a particular favourite when it comes to this kind of meat. You can then place the ham into the oven at 250F for another 20 minutes to give a golden finish to the ham. 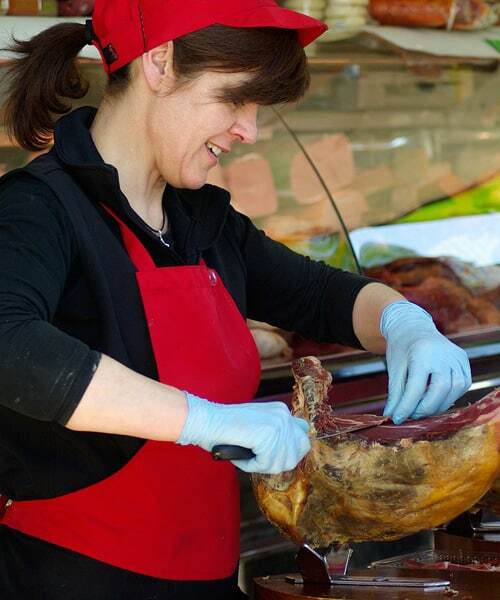 Once you have finished cooking you can then carve up the ham which can be used in a variety of different dishes. The obvious choice for gammon is to use it on the table at Christmas but you can also create a great Tagliatteli Carbonara with this chunky moist meat, and you can also add chunks of it into a nice summer salad if you wish. 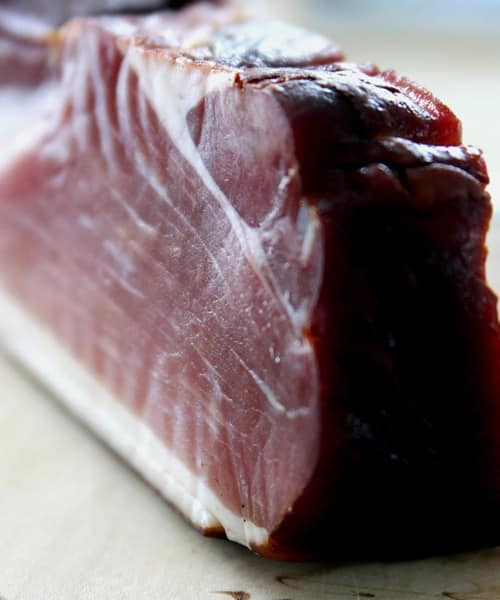 The beauty of ham is that it can go with many kinds of different foods and used as part of many types of cultural cooking experiments so use your imagination here to see what it can go with. If you happen to have any leftover meat than you can store this in the fridge for 3-4 days or you can chop it up and put it in a freezer bag where you can keep for a period of up to 3 months, allowing you to dip in and out of it overtime if you wish. The loin part of a pig is located in the middle section towards the top as it said to be the tastiest part of the animal that offers tender and moist meat to dinner guests when cooked properly. 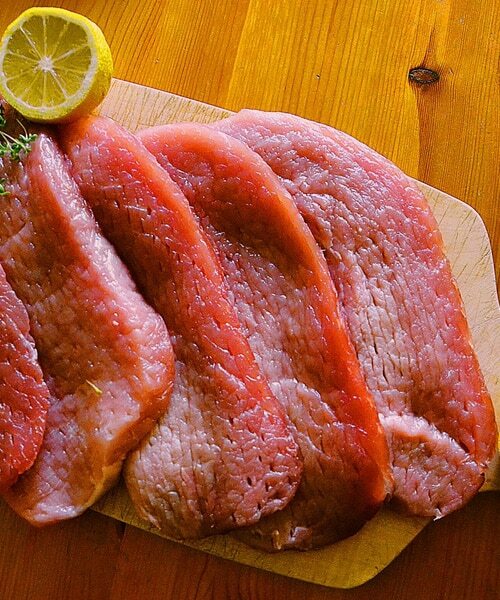 Therefore it’s no surprise that pork loin is also referred to as a pork tenderloin. The other fact of this type of meat is that’s its boneless as well because of where it is located on the pig, this alone makes it easy to see why the meat is tender and moist. The biggest key to getting this cooked right is timing and oven temperatures, as well as knowing the correct weight of the meat so you know how long to cook it for. Firstly like any type of big meat you want to start by getting the oven set to the correct temperature as you don’t want to be placing your pork loins into the oven has its starts to heat up. So turn up the temperature dial to 450F and leave the oven to heat up to that temperature while you get on with the preparation side of things. The next step is to take your meat out of the fridge is you haven’t already, and begin to season them. Usually there are a wide selection of herbs that go well with pork so you can either mix a few of these together or you can use a preferred herb. What we advise is that you blend together a tablespoon of mixed herbs by adding the likes or thyme, rosemary, and sage together in a dish, topped off with some sea salt and pepper. Mix these all together and then add about a tablespoon of extra virgin olive oil. Why add the olive oil I hear you ask? Well this is a little trick to help season the pork loins better than just sprinkling the herbs across the top. The oil will help you create a paste out of the herbs which makes it easier for you to rub onto the pork loins, making sure that you cover each one well. Now you have finished with the seasoning step of cooking this meat, you want to get them ready to place into the oven, and the key part here is that you don’t overcook them as they will be dry to eat which isn’t very nice. A lot of people get scared when cooking meat and overcook, so don’t fall into this category. 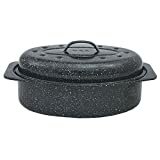 By now your oven has heated up nicely and the rule of thumb to cooking times here is cook for 5 minutes and 30 seconds for each pound in weight. Turn off the oven when you put the loins in and leave the pork loins to cook for about 45 minutes to an hour (dependant on weight). 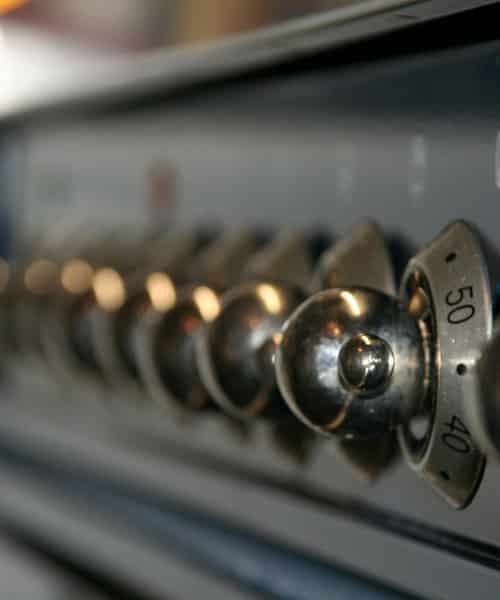 However, its important not to open the door and let the heat escape at this stage, and if you have an older oven this process may not work for you if the heat can escape easily. After the time has passed take out the pork loins and cover them with foil (like a tent) and let them rest on the kitchen counter for a good 10 minutes. 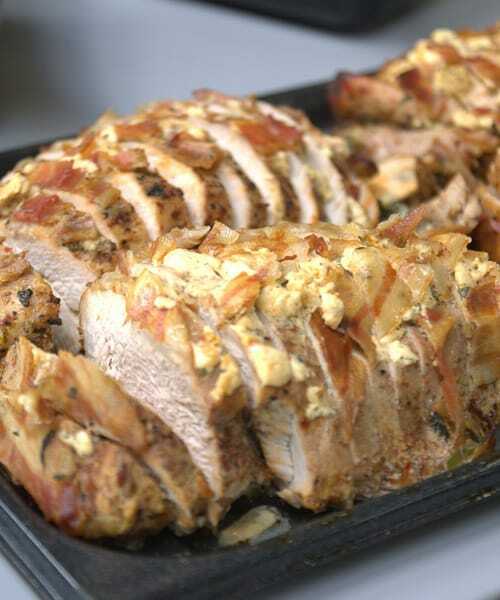 The resting time will allow the pork loins to absorb all those rich juices making them moist and tender when you finally come to taking a bite out of them. What Can I Serve Them With? Pork loins are usually served with a dinner that consists of potatoes and vegetables but there are plenty of other dishes that you can add these to. 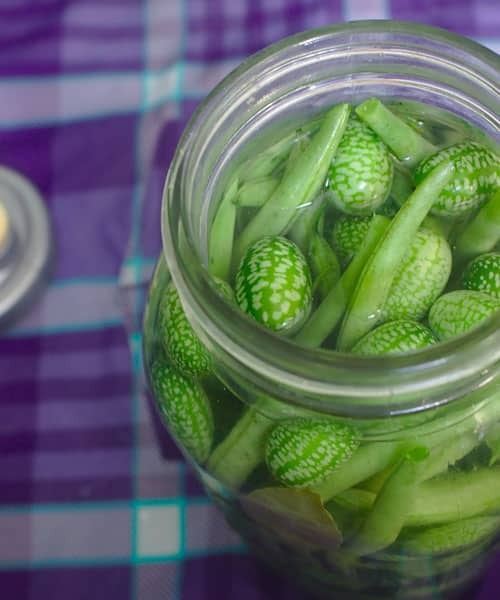 If you want a cold salad then the loins can be cut into strip pieces and left to cool down before throwing them into a nice summer salad, or they can be added to a stir fry or oriental dish with noodles. The seasoning can also be experimented with and you can try glazing methods on your pork loin, such as a honey glaze or a honey and mustard glaze if you want a bit of a kick to the meat. 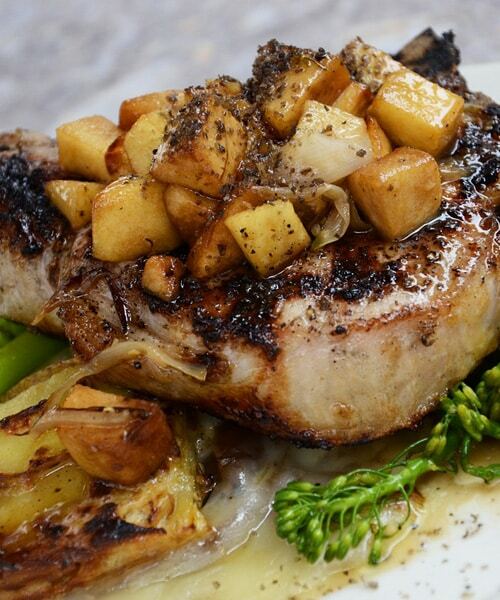 There are also cheese dressings that can be used to add to the pork loins which are called Caesar pork chops. This uses a creamy Caesar salad dressing with shredded parmesan cheese sprinkled over the top of the meat. 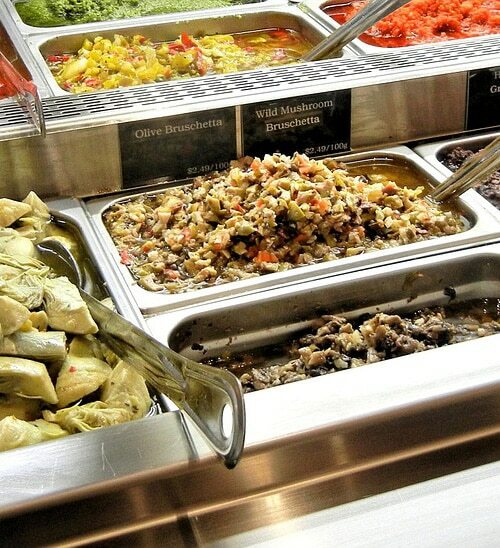 The choice really is yours when it comes to the dressing and the dishes that you use them in, but the cooking method will always stay the same. 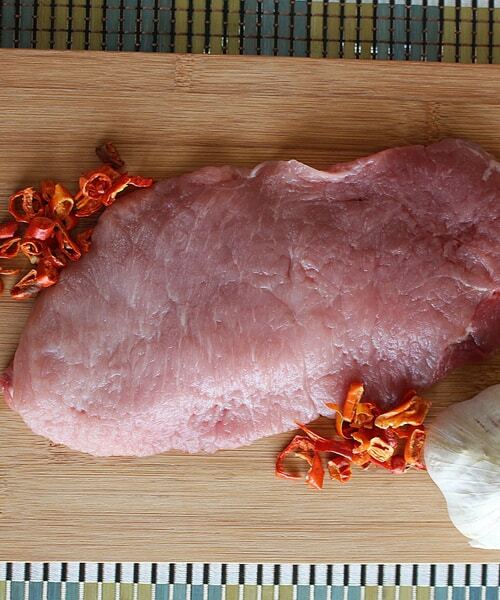 This will provide you with a well cooked and tender bit of meat that you or your dinner guests will love to eat. 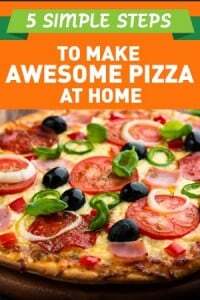 So try it out next time you have guests over, we can guarantee it will be a hit! 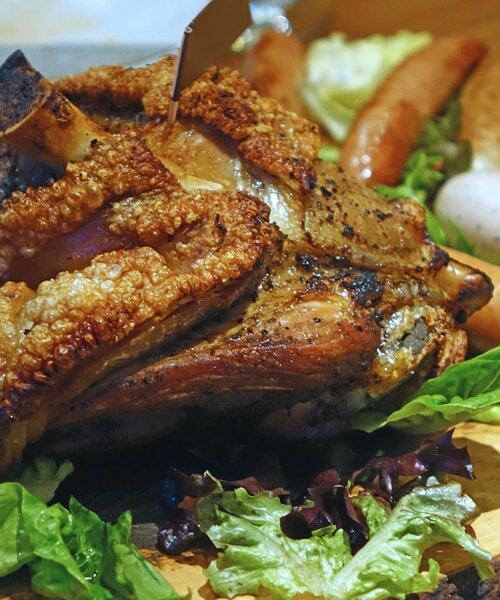 There is nothing more wonderful than the smell of a slow cooked pork roast to tingle your taste buds in the afternoon. Many people are often wary about cooking large pieces of meat because they worry that somewhere in the middle of that meat isn’t cooked thoroughly enough and could make them bad. However, you shouldn’t be worried about this and it certainly shouldn’t put you off, all you need to know is exactly how to cook that pork roast and it really isn’t difficult to do. 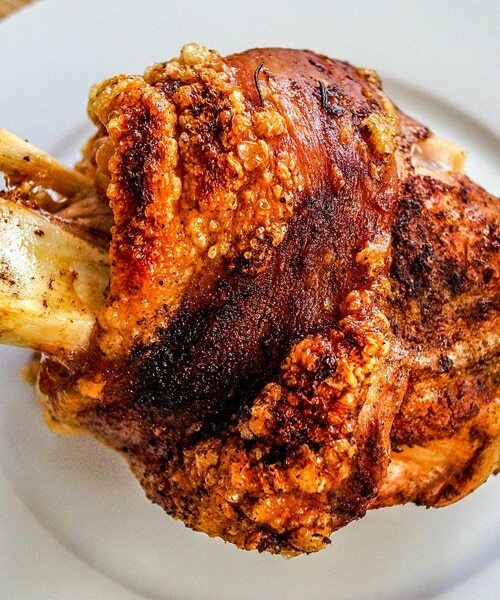 The key to roasting a large pork joint is to slowly cook it, as this will make the meat tender and moist giving that beautiful mouth-watering taste. The first thing you will need to do with any large piece of meat is to preheat the oven so you are putting the meat into the oven at the optimal temperature. Usually you will want to whack up the oven to the 450F mark and let it heat nicely over the course of the pork preparation period. 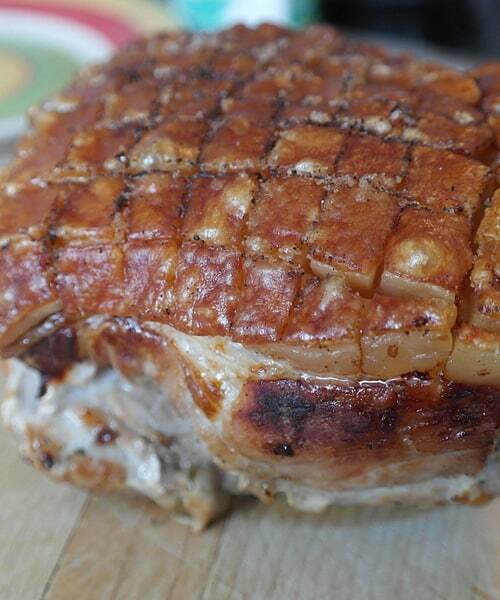 With most pork joints you will see a layer of fat on the one side, it’s important to keep this on and not cut it away because it will essentially help to keep the roast moist and will offer that crispy crackling. Add a table spoon of the herbs above (so that it equals to one tablespoon, not one tablespoon of each), to a dish. Then pour in about a tablespoon of your olive oiland gently mix the ingredients together. You should get a wet paste where all the herbs are clumped nicely together. Now just add a couple of pinches of salt and bout a pinch of black pepper. Mix until everything is blended together well. Take your hands and scoop out the mixtures and be sure to rub it evenly over the pork roast, leaving no area untouched. So make sure its all over the bottom and the sides of the meat for maximum coverage. The oven should be now at a good temperature to introduce the pork roast to, so make sure that you place the roast (fat side up) on a rack. Sometimes the grill rack will act just as good, but try and use a rack on top of a roasting tin if you can. Keep the oven at 450F for about 10 minutes which will help the roast achieve that golden brown look and then after 10 minutes is up put the temperature down to around 250F which will be the temperature we use for the rest of the cooking process. Depending on the size of the meat you roast will take a further 50 – 90 minutes of cooking, especially if your roast is short and fat. 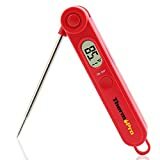 If you have a thermometer then use this to check the temperature of the meat at its thickest part. Once the roast has finished cooking you can remove it from the oven and let it rest on the side, preferably with a tent of foil covering it up. What this rest time will do is let the juices be absorbed by the roast which will add to the tenderness and moistness of the meat when you come to eating it. 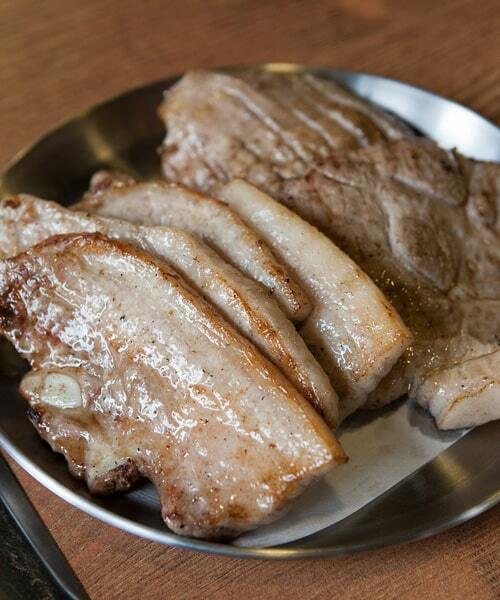 The rest time we advise is about 15 minutes which allows the juices to absorb so you can then cut it. Again, depending on the size of your meat will depend on how far it can go around the table and this is an important point that you really don’t want to forget about. The general rule of thumb is that you can get 3 servings from a 1.5lbs pork roast, so double the weight to 3lbs and you should comfortably be able to feed 6 people, and so forth. 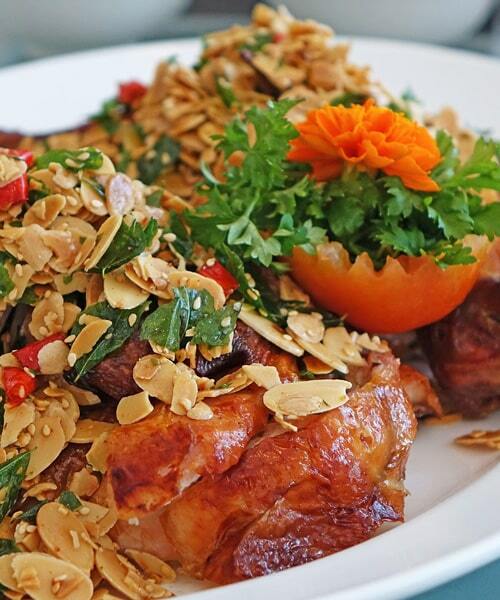 You can eat the pork with many types of dishes, from oriental noodles, pasta, or more traditional dishes such as a good Sunday roast with vegetables, potatoes and gravy. 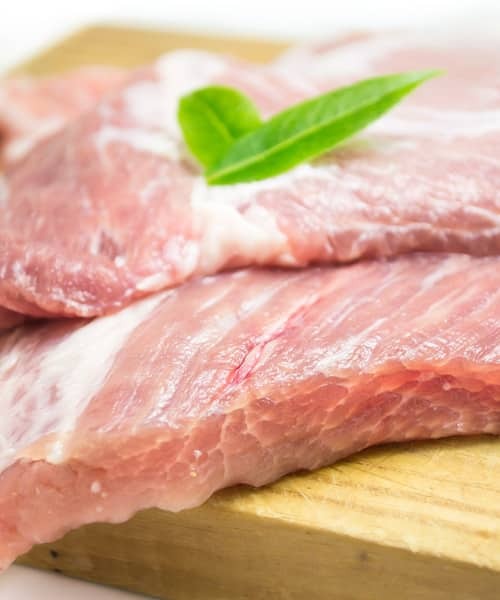 Although pork isn’t as versatile as chicken it’s still a meat that can be used in a variety of different ways, and above all its one of the most easiest meats to both season and then cook. You no longer need to worry about cooking large pork roasts and fearing that a section of it will be uncooked, hopefully our guide here will have helped you gain a better understanding of the times and preparation that is involved when cooking a large sided pork roast in the oven for your dinner guests. Enjoy! How Do You Get Into Artichokes and Cook Them? 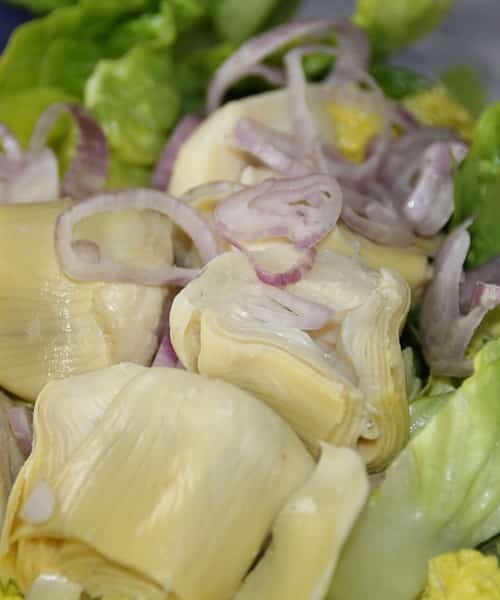 Artichokes are a strange looking food type, and most people look at these with complete confusion and frustration on their faces because firstly they have no idea on how to get into them and secondly once they fathom this out they just don’t know how to cook them. Well, ladies and gentlemen we are about to help you with a short guide on how you can make a soup or salad from one of these green and pleasant vegetables. 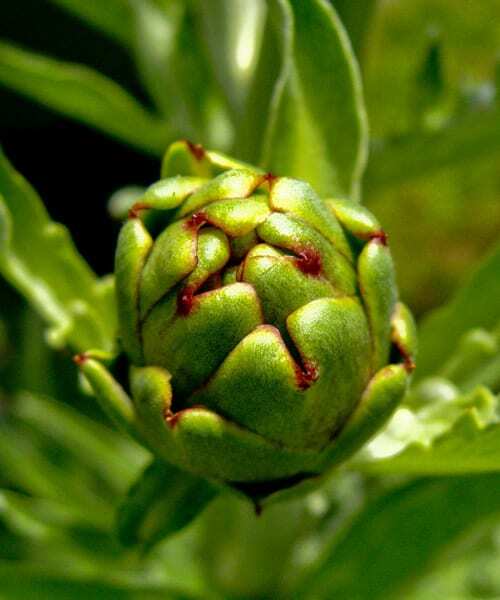 The one thing you need to keep in mind is that artichokes don’t come in one size, they vary in terms of growth so the larger artichokes will take longer to cook then the smaller ones, but there shouldn’t be an alarming surprised in that fact. Firstly, these are often cooked best when you steam or boil them, with steam being my preferred method as it locks in all the good nutrients that boiling can take out. What you will find is that the steaming process also locks in a lot of the flavours so it’s by far the best route to take even if you don’t have a steamer unit available in your kitchen. Now we are ready to begin the preparation so the very first step is to take off that long stalk and steam as it isn’t needed. Now we will look at the main part of this vegetable where the leaves are growing at the top. 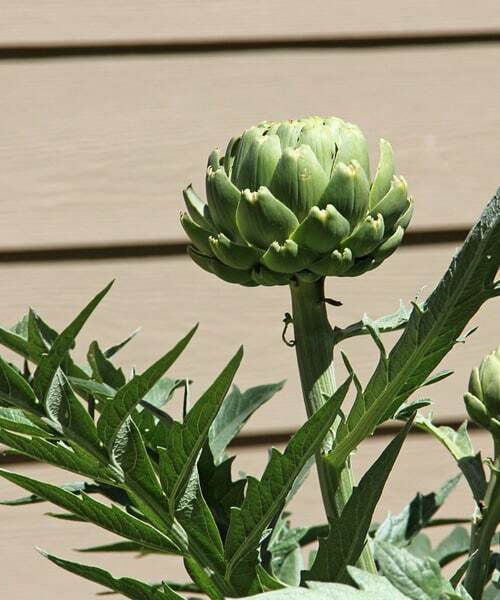 You will notice that these are shaped like horns at the end, and the general rule of thumb is that the fresher the artichoke is the more closed up it will be. If the petals are opening up then they won’t be as fresh. Next, you can take a pair of kitchen scissors and chop off the thorny ends of the leaves so you are left with flat edges leaves. With that and the stem gone the only other thing you need to do is chop the top off the artichoke and you should be ready to start steaming. Rinse off any excess dirt or grit that may have been caught up in the leaves before you steam by simply washing it under some cold water in your sink. Once done grab yourself a large pot and put about an inch of water in it, with the additional seasonings such as lemon, bay leafs, or most peoples favourite; garlic. You will now need to add a steaming basket to your large pot in order to rest the artichokes on so that you can successfully steam them. Bring the water to a boil and then cover the pot with a lid and allow them to simmer for about 20-40 minutes depending on the size of the artichokes and just how many that you have put into the pot. By the end of the cooking time take the pot off the boil and allow the artichokes to cool on the side for 5 minutes. Usually a dip comes in quite handy when eating these and I tend to use mayonnaise personally but you can use any kind of dip you like, whether its mustard, butter, or a vinegar based dip, they all work a treat and tingle your taste buds. After the artichokes have cooked the leaves should have lifted a little, so they won’t be as tightly closed as before you steamed them. To eat an artichoke you just need to peel off a petal one at a time and then dip them in your desired sauce. Now this next part is important as you don’t actually eat the whole petal. What you need to do is place the petal dip side down into your mouth and use your teeth (as a scraper) to remove the edible part of the petal. You will feel this part come away as you follow that process and the sauce will just add a wonderful taste to the artichoke. Once you have eaten all of the petals then you don’t need to stop there as you can also eat that middle part, and the heart of the artichoke (but don’t eat the fuzzy part). Grab yourself a knife as you will need these to cut out and scrape those final parts of the artichoke out. That is all there is to it! 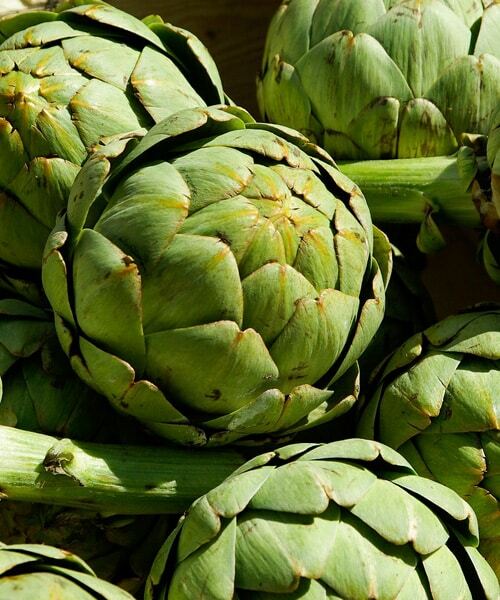 It’s a quick and easy way to prepare, cook and then eat an artichoke and the more that you get used to this wonderful green vegetable the easier it will become to do all of those 3 steps without having to think about what to do next. If you haven’t had the chance to eat one of these yet, then what are you waiting for? 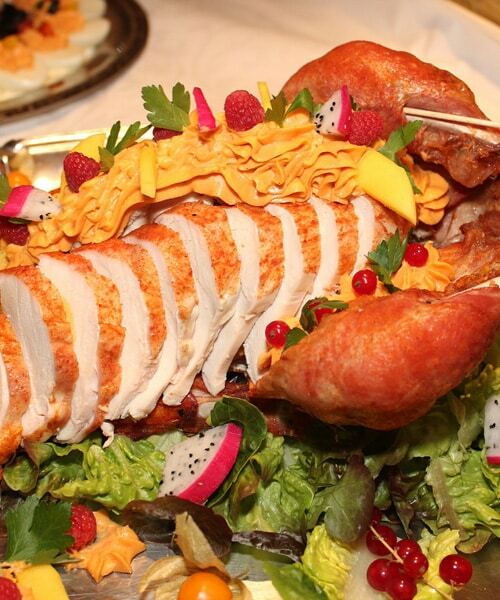 Turkey for many people gets eaten once or twice a year and is part of a traditional Christmas dinner but also the main base on a table for Thanksgiving in the U.S.A at the end of this month. 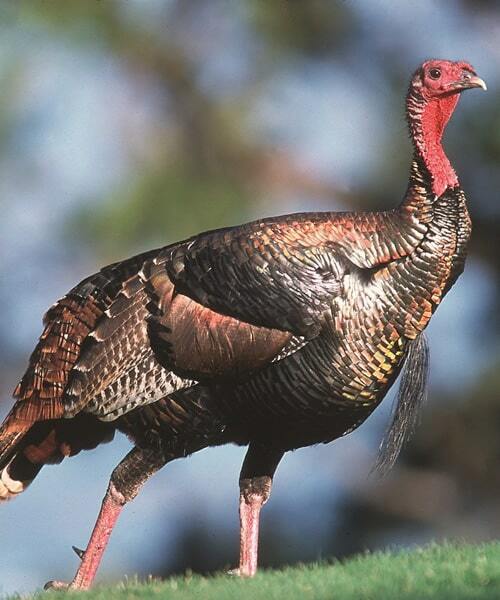 The main difference between a turkey and a chicken is that Turkeys are much larger and are much richer in taste than a chicken. Therefore the cooking and preparation process required to take the turkey from raw to fully cooked can take a long time, in some cases a good 5-6 hours if your Turkey weighs in at 5-6 KG. So getting everything in place is the key to success if you are holding a thanksgiving party or playing host on Christmas Day. Firstly let’s point out that there is only really one way to cook a Turkey and that is to roast it in the oven, as this gets the best results and is the quickest way to get it done. Even though they can take a good 6 hours dependant on weight a lot of people will cook them slowly overnight. Firstly the whole preparation process for a turkey can start days before you even begin to cook it, this process usually involves letting the turkey sit in a brine solution for a few days prior to being cut up. The salt water solutions will help moisten the turkey and bring terrific results your way at the end of the cooking process. Turn up the oven to around 450F and position the rack towards the lower third of the oven. You don’t want it sitting at the top or in the middle at this stage. If you haven’t brined the turkey because you didn’t have time then you will need to season it now before you put it in the oven. Grab some extra virgin olive oil and your choice of seasoning, this can be just salt and pepper or you can experiment with garlic cloves and lemons. 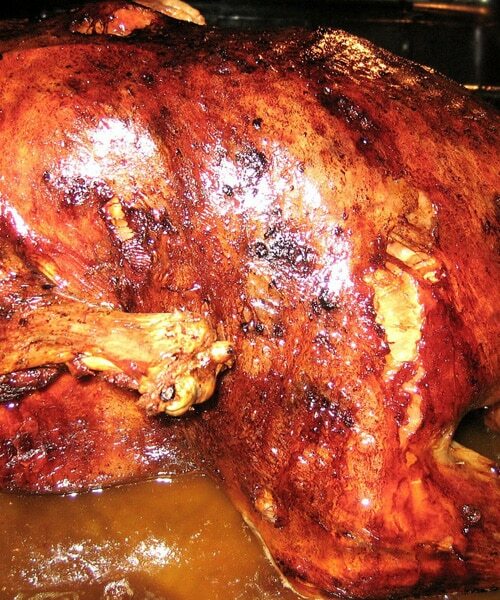 The oil will simply add a crispy golden-brown skin texture to the turkey for those that love to chow down on the skin. The next stage is important and something that people forget to do. Don’t just place the turkey into a roasting dish, instead add around two cup fulls of water to the pan and then place the turkey into this water or broth solution (breast side up for the best results, adding some foil towards the end to protect the meat). Once you have done this add the tray to the oven rack and then knock the heat down from 450F to 350F. Each 0.5KGs of Turkey (That’s 1 pound), should be cooked for 13 minutes. So a turkey that weighs 6.3 KG (14 pounds) should be cooked for around 2 hours and 40 minutes. However, different elements can also change this cooking time such as whether it has been brined or if it has been stuffed or left empty. Just keep checking the turkey every so often and don’t forget to baste the turkey around every 45 minutes. Ok, How Do I Baste a Turkey? It’s really easy to do! Just take the roasting tray out of the oven and then tilt the track and use a spoon to pour the liquid from the base of the tray onto the top of the turkey. 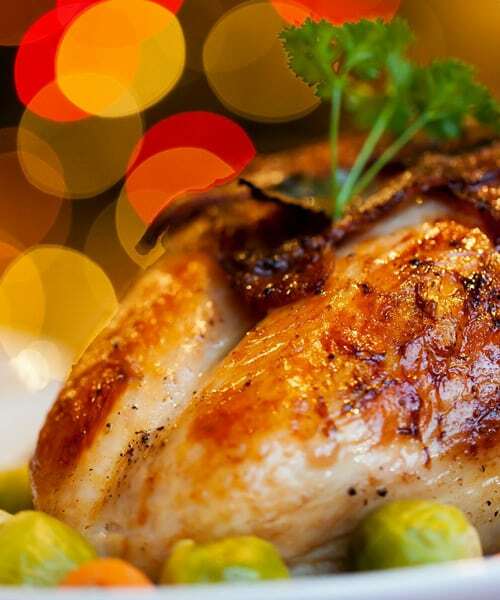 It may not seem like much of a big deal but believe us that basting plays a major part because it slows down the cooking time of the turkey because the juices you are pouring over the top of it essentially cools the surface of the turkey down which as a result will keep the breast cooking at the same temperature and rate as the rest of the turkey. Once the turkey has finished cooking leave it on the side for a good 30 minutes (with some foil covered over the top of it) to let all those juices absorb to make the meat tender and moist. After 30 minutes has passed you can then begin to separate the turkey by carving off the thighs, wings, legs and breast for serving. The additional meat can also be cut from the bones of the turkey and used as leftovers which can be kept for a few days in the fridge or frozen for around 2 – 3 months. 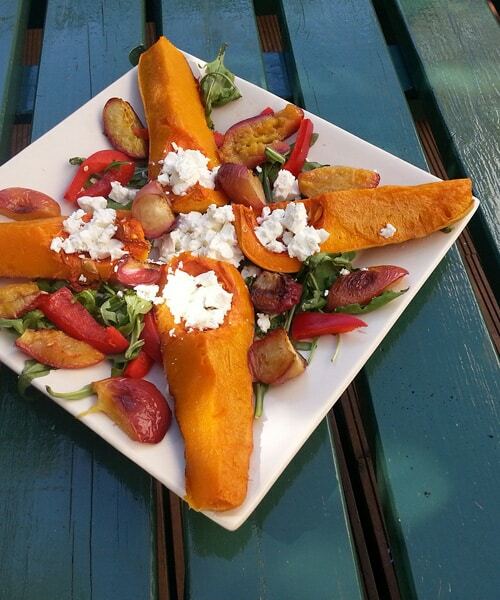 It’s the time of the year for acorn squash and this particular food type is everyone’s favourite in the fall. If you haven’t tried this type of autumn squash before than you really need to grab yourself some because we are going to show you a number of ways you can eat them. 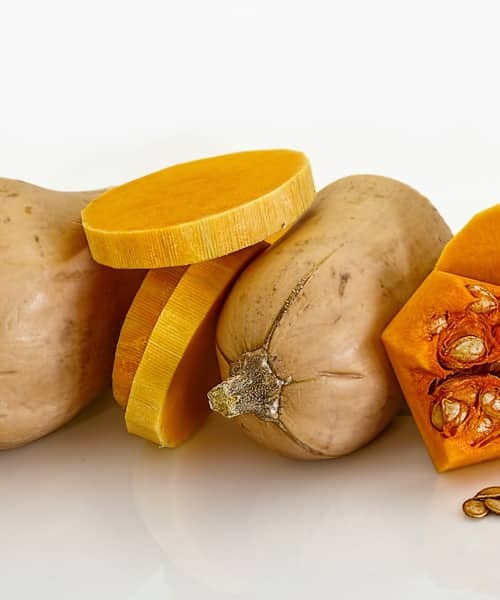 The squash is sweet but also offers a nutty taste to it and can be thrown into a range of dishes because of its versatility. 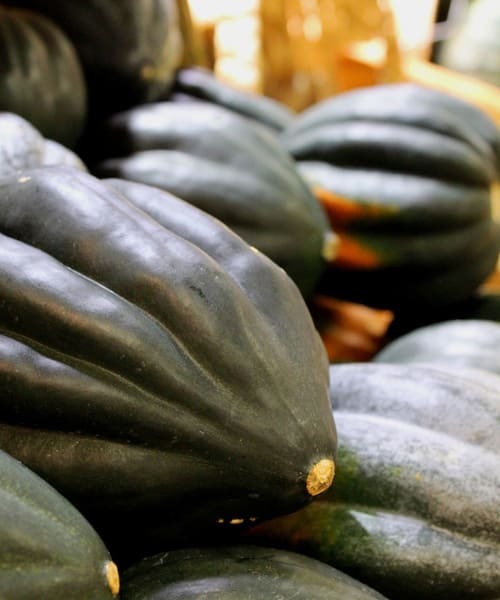 Whether you are a pasta lover or a pie lover the acorn squash shouldn’t be overlooked this fall, as it will provide you and your family with a heart-warming dinner time dish that you will want to eat over and over again as the cold weather sets in. Let’s start with looking at how acorn squash can be used as part of a pie dish. One of the things you will realise when reading todays article is that acorn squash can be adapted into both main courses as well as desserts. Firstly we want to get the oven preheated like always, so knock the temperature up to around 425F, and then while that begins to increase to its optimal heat setting we want to prepare the baking tray, by just adding some butter to it so that the squash doesn’t stick to the bottom of the tray making it hard to remove. Slice the acorns in halve and then line them up on the baking tray or baking sheet and cook them in the oven for around 20 minutes until they soften up, you can then remove them from the oven and scrape out the squash with a spoon. Now you can begin to bring in other ingredients and acorn squash goes very well with honey so mix together salt, cinnamon, ginger, half a cup of milk, some honey and 4 large eggs. Its best to use a blender at this stage to make sure that you are thoroughly combining all the ingredients together as this will make the inner filling of the pie. The next step is to create your pie casing; you can either do this yourself or simply buy a premade one. Scoop into the middle of the pie your filling and then take the pies back to the oven and cook for about 40 minutes, the first 10 minutes you want to set the oven to 350F and then for the final 30 back to 425F. Pasta is as versatile as food comes as you can add anything to pasta including acorn squash. You can cook the squash in the same way as the recipe above, but instead of mashing together the squash you want to keep them in large chunks so they combine well with the pasta. Add some pasta to a large saucepan of boiling water and then cook for 20 minutes until they are soft but firm still. 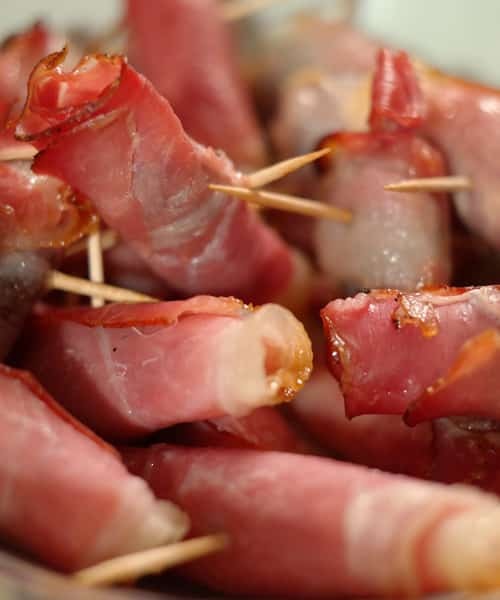 If you are feeling creative you can also sauté some pancetta so the meat is crispy and this can be added to the dish to create extra colours and textures. Once the pasta has cooked and the pancetta has finished off combine the acorn squash, pancetta and pasta into a large bowl. Now we can add some freshly chopped rosemary and parmesan cheese to finish the dish off. What do you get when you combine acorn squash and soup? The best autumn dish you can think of that’s what! To make this dish it really is simple and we can tell you how in just two sentences. Firstly cook the acorn squash in the same way as the pie dish at the top and then make sure the squash is mashed up. You want to achieve a puree here, that’s what you are looking for. You can then add about half a pound of kale, and 4 strips of bacon as ingredients to the dish which will make for a tasty soup. All you need to do is cook the bacon in a saucepan for 5 minutes until it is crisp, and then cook the kale for 3 minutes in a saucepan until it is soft. Add the squash puree to the bacon and kale, then tip in 3 cups of water and bring everything to the boil. To add extra taste once the soup is cooked you can sprinkle some salt and pepper into the soup, and if you are cooking this for guests it’s advisable to leave some bacon left over so you can garnish the top of each soup bowl with it. This will just add a touch of class when it comes to presentation and something that your guests will enjoy to see. Any leftover squash puree can also be added to containers and frozen for another time you want to make soup. More often than not we class steak as a luxury in life, especially the good quality stuff that tends to come at a price. That price though is well worth it if you can cook the steak to perfection which unfortunately a lot of people tend to struggle with. Now, there are a number of different ways that you can go about cooking steak but the one way that comes out on top is to use a griddle pan. Again, the way you go about cooking steak really depends on whether you like rare, medium-rare, medium, medium-well-done, or well-done. 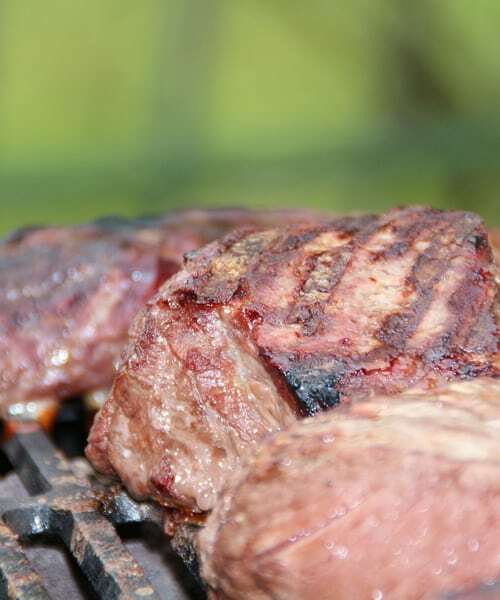 The heat settings and time that you need to cook the steak all vary with each of these methods. 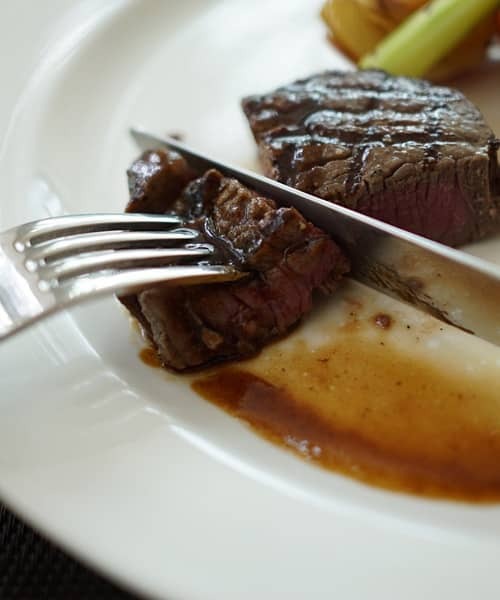 If you are cooking for a dinner party who all want a different cooked steak then it can be confusing to know when to take it off the heat and serve it up. Hopefully over the next few minutes you are going to learn a little bit more about cooking steak, so take a seat and listen to what we have to say. Note: There is literally a few minutes in-between a rare and well-done steak so timing really is of the essence when it comes to cooking the perfect steak. Firstly you will need to take out your griddle pan and get your oil at the ready; also you may want to season your steak if you prefer to add some subtle flavours to the mix. The real key to steak is that everything happens quickly so preparation is must. Get your pepper and sea salt ready by the side of you, your honey and mustard dressing, or your spice mix if you want to give the steak a nice kick. The idea here is to add the oil to the griddle first and soon as the oil begins to separate its hot enough to add the steak to. Don’t be caught out by adding the steak to early as you could end up with a greasy steak that doesn’t taste as good as it should. Once the oil is hot and ready, you can then press your steak into the seasonings that you have chosen and then add them right onto the griddle pan. How Do I Know It’s Cooked? 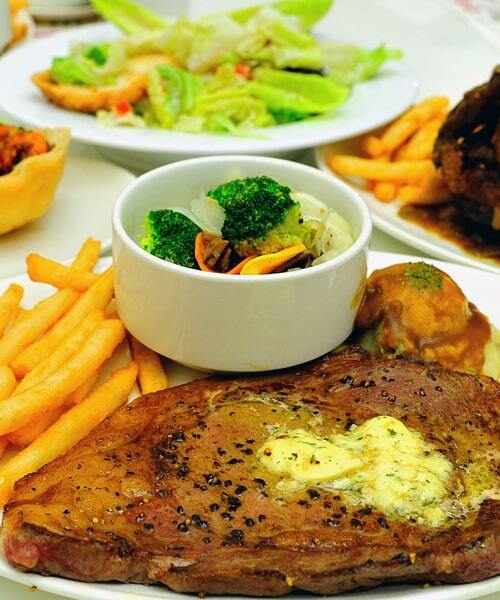 Blue steak is the first type of steak which hardly see’s the heat at all. The steak should be dark and look almost blue or purple to you, and will be warm (not piping hot). 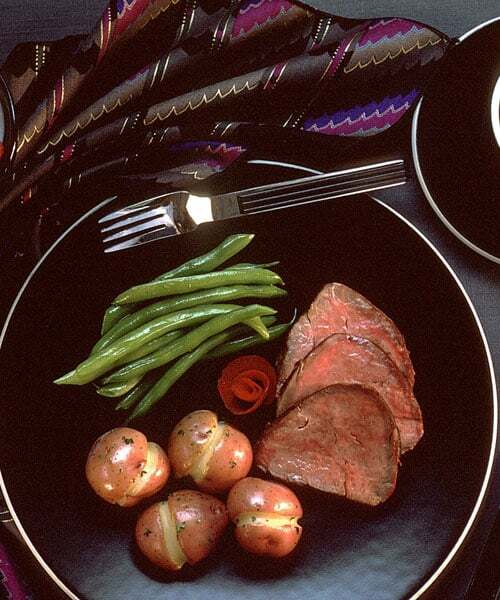 Rare is the next steak type and is popular on the European continent. This steak will be dark red and the juices will have been created from its short time on the griddle. Medium-Rare will look a lot more pink when you cut the steak open. Medium is probably the most popular type of steak and this will be a pale pink colour but wont have many juices flowing from the outside. Instead the steak will be firm and the juices will have been soaked up by the heat. Well-Done types of steak are generally for those who don’t want to risk a bad stomach off the other types of steak. You shouldn’t see a whole lot of pink in this steak, instead it will mostly brown in colour but shouldn’t be overcooked to the stage where it has completely dried out. So now you know what steak types should look like we will tell you the times that you need to keep them on the griddle. This is a rough guide as it depends on the type of steak and the thickness of the steak so we are going to provide you with a general average here. For Blue steaks you are looking to cook a Sirloin steak for 60 seconds on either side. For Rare steaks you are looking for increase that time to around 90 seconds on either side. Medium Rare you just need to add another 30 seconds to each side, making this type of steak a 2 minute job on either side. For Medium steaks you can add around 10-15 seconds on each side. Finally, the well-done steaks can take almost double the time a medium steak can take. You should be looking in between the 4 and 5 minute mark on either side of the steak to classify it as a well-done type. Like any meat that has just been cooked you should always leave it to rest properly on the side for about 5 – 10 minutes. What this does to any meat is allows the juices to be absorbed back into the meat and what you will then get is a moist and tender piece of steak that is still warm/hot (depending on the type of steak). 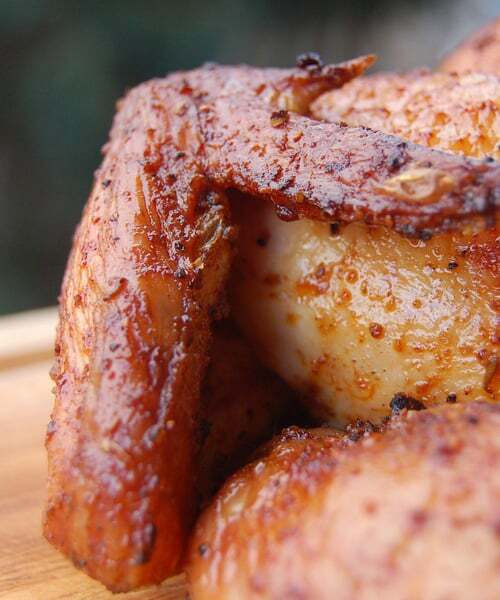 Chicken is a meat that you can use with pretty much any type of main dish because it is quite versatile in nature. Whether it’s part of a nice warm curry, a salad or chucked into a cold pasta based dish, chicken really is one of the tastiest meats that you can have. 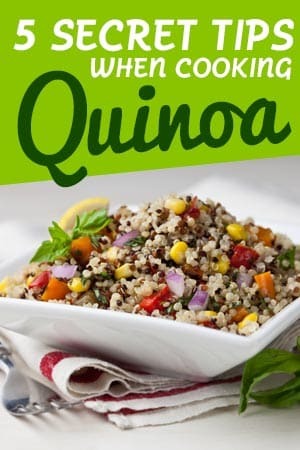 Aside from it being fairly easy to cook and being rather tasty, it also has many health benefits and if you eat it as part of a balanced diet you gain a lot from its high source of protein. Today though we aren’t looking at the health benefits of chicken, instead we want to look at how you can roast the perfect chicken so that all your dinner guests will be asking you how you cooked such an amazing chicken. Therefore we are going to take your through the cooking methods for a roast chicken allowing you to follow our easy step-by-step instructions, and believe it or not it’s a lot more easier than you are probably thinking right now. One of the best ways to cook chicken is to roast it as you get so many different flavours from the white meat when cooked in this manner. 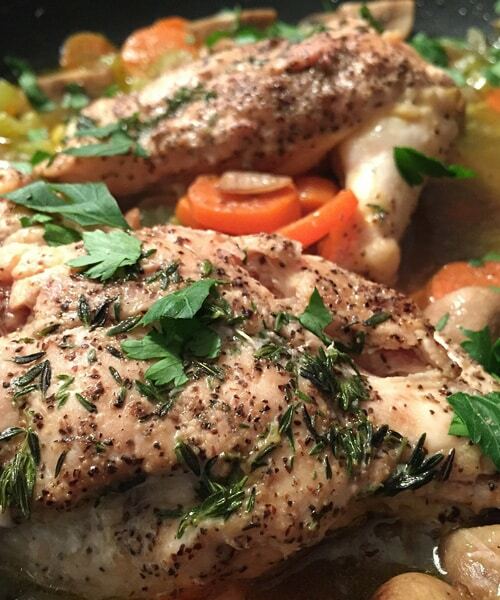 Roasting a chicken all starts with the preparation, and once cooked thoroughly you can add this to a Sunday dinner, pasta dishes, salads and even soups. 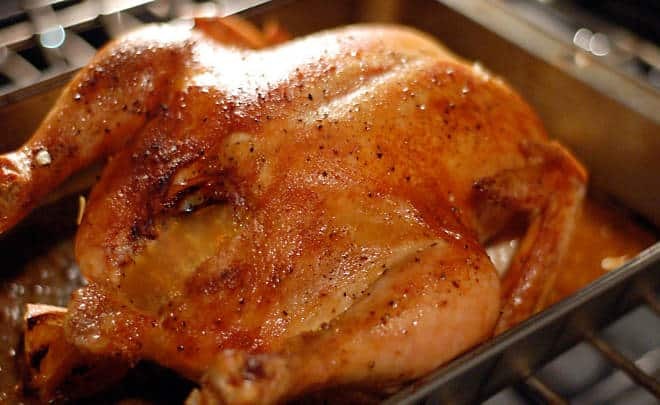 To begin with you need to preheat your oven to a high heat setting, usually 450F is the best setting to use and then you want to use the middle of oven to cook the chicken. If you haven’t removed the giblets yet then this is the first thing you are going to want to do. Giblets shouldn’t just be thrown away though as they can help make gravy should you need it for your intended dish. Rub the outside of the chicken with some extra virgin olive oil, making sure that the drumsticks and breast are well coated in oil. What this will result in is crispy golden skin. Now you have the chicken covered season with the salt and pepper and chopped garlic (you can put the garlic cloves inside the chicken). Cut the lemon into segments and then place these inside the chicken as well, this will just add a nice subtle flavour. 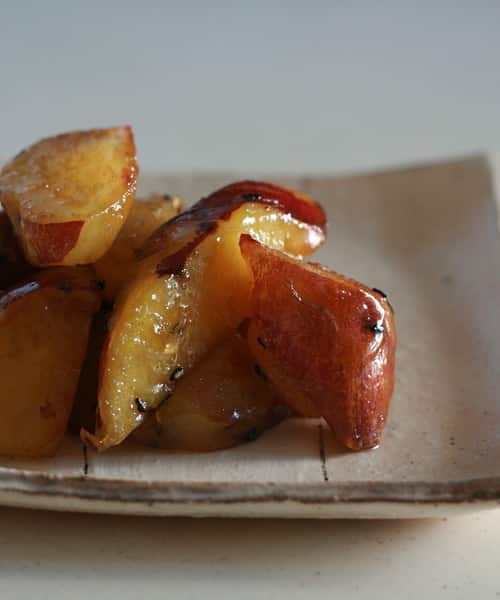 At the end of the cooking process you can also use the garlic to add to boiled potatoes or you can roast some potatoes with the garlic cloves to give them a great taste. Depending on the size of the chicken will vary its cooking time, but you should be able to find instructions on the packaging. Lower the temperature to about 400F now, and then put the chicken into the roasting dish and slide that onto the middle rack of the oven. To give you an idea of when it is cooked you can use a thermometer in the thickest part of the chicken, and if the temperature reads 165F and the juices are running clear then you are finished. When cooked always make sure that you leave the chicken on the side for a good 15 minutes, this will allow the chicken to rest. This is the ideal time to prepare the rest of your dish (whether you need to make gravy, cook vegetables or boil up some pasta). After the 15 minutes has passed you can now start to carve up the chicken, don’t just slam your knife in any old place. Look for the breasts, thighs, and drumsticks and carve these off first. Some people tend to like nibbling on the wings so you can twist and break these off. 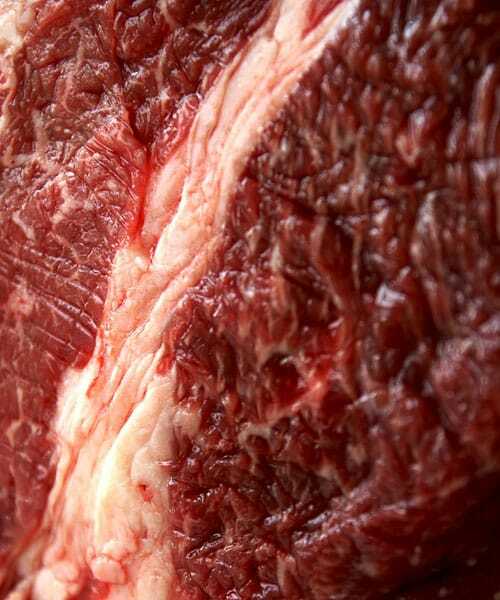 You should now have a carcass in front of you but don’t stop there as you can salvage plenty of other meat from the bones, and this meat will usually keep for a good 5 days in the fridge and as long as 3 months if you put it in the freezer straight away. Note: You don’t have to use garlic or lemons as part of the seasoning, other herbs can be used to your required taste, such as Sage which is the ideal herb of choice to combine with roasted chicken. If you want that golden bronze crispy skin then you must remember to cover the chicken in oil, but don’t worry about going overboard here as it will give it that great texture. 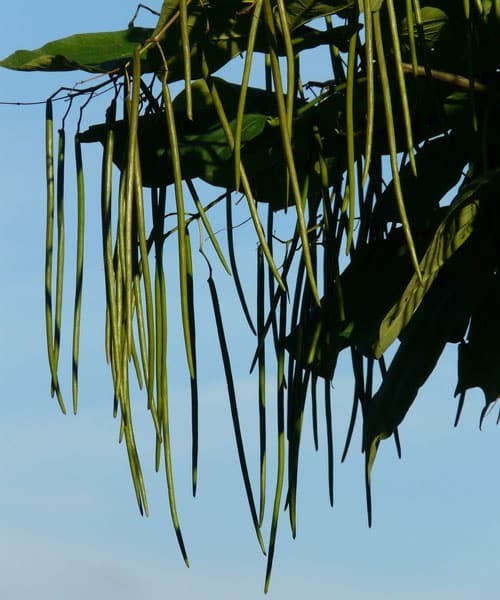 Green beans are a wonderful tasting vegetable even when they are cooked on their own, as they have a fresh and crunchy taste that can complement many different meal types, from roast dinners, to salads and even with pasta based dishes. 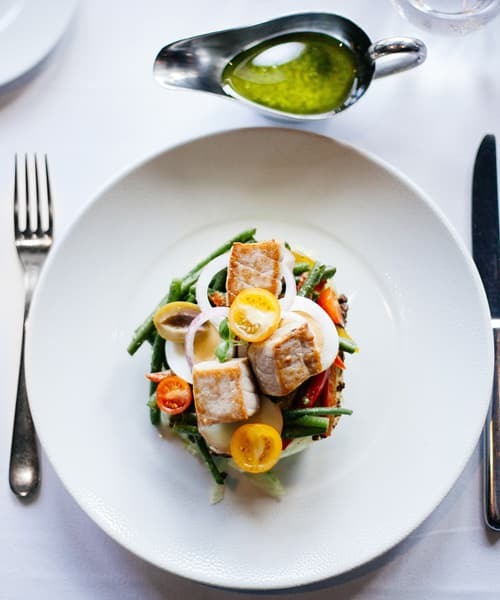 The way we cook green beans can also vary, and each way brings out different flavours and aromas that will leave any cook eager to taste the final result. 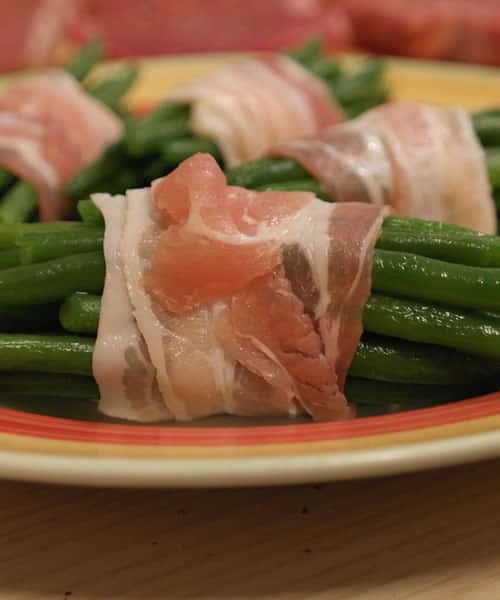 In this article we wanted to look at not just the different ways we can cook green beans but we also want to check out some recipes that you can use them in, so when you go away after reading this you will be geared up to create something special in your kitchen. 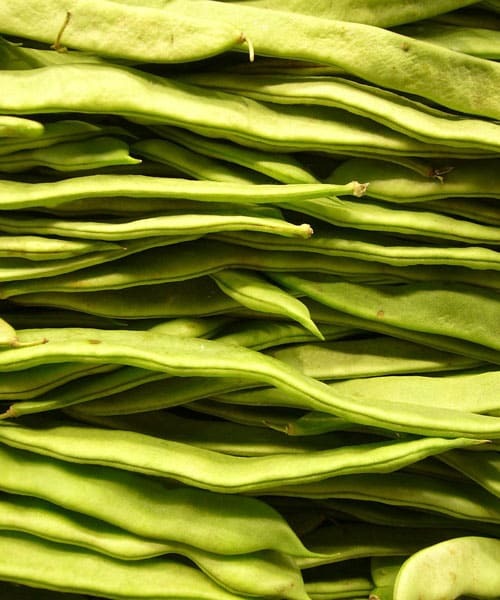 Get your notebooks at the ready as we explore the world of the green bean. A little bit of preparation is needed before you cut up a green bean and then begin cooking it. Firstly, you will want to wash the green beans under cold water to remove any dirt, or grit that may be holding onto the bean from outside. Once you have done this you need to remove each end with a knife and then run a peeler down each side to remove the tough edging. This process is optional but you may find the edges to be slightly tougher to eat. The main way we cook green beans is to boil them as this is the fastest way to cook them and it does bring out a lot of flavour. Talking about flavour you will want to fill a large pot up with water and then season the water with some salt and pepper. Turn up the heat to a medium-high level and then let the water come to a boil so you can add the green beans. Now, it’s your choice to whether you want to cook them as a whole piece or whether you want to chop them up to cook, most people tend to leave them as whole. 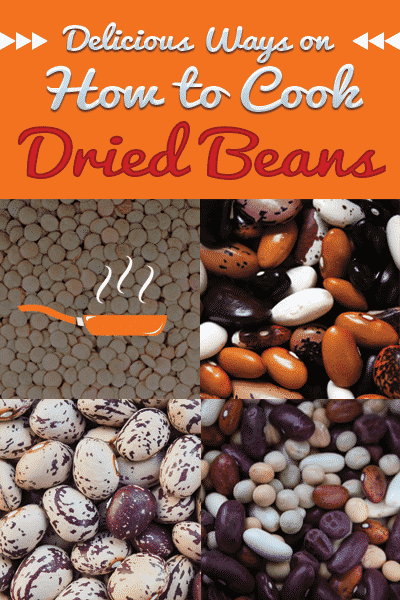 Let the beans simmer on a low heat for around 4 minutes which will leave them in a tender but a nice crispy state, locking in all those important nutrients that are good for your body’s health. Once the 4 minutes is up drain the beans and add a bit of salt and pepper again if you desire and then serve them immediately, don’t let them go cold. The next option is becoming more and more popular as steaming vegetables tends to leave a lot of nutrients in the vegetable itself, where boiling in water tends to lose more. If you have a steamer unit at home then you will already know how this functions and you just need to cook the green beans in the same manner as any other vegetable that you use it for. Just set the timer to about 2 minutes for this. As an alternative to the steamer machine you can get the same results by using a pan full of boiling water, then putting a basket over the pan (making sure that the water doesn’t touch the bottom of the basket), and then placing the green beans in the basket which will then be covered by a lid to keep in the steam. Again, a 2 minute period should be just enough to allow the beans to go tender but still retain that crisp bite when you come to eating them. Once cooked remove them from the heat and then season them with your favourite herbs before serving them up to your guests or eating them yourself if you are doing this as a snack or meal for one. Microwaves and cooking never get mentioned much but there is absolutely nothing wrong with using a microwave to cook some foods in, so if you have one which most people do then put it to good use as it’s not just there to warm things up in. Add your green beans to a microwavable bowl and then cover them with enough water so that all the beans are well submerged. Next you will need to grab some cling film and then cover the top of the bowl so that the steam is locked inside when the water starts to boil in the microwave. Place the bowl in the microwave for about 3 minutes and then let the bowl stand for a minute. Be careful when you come to unwrapping the cling film as the steam will escape quickly and you may burn yourself. Pierce the cling film first to let some steam escape and then peel back the cling film. Finally you can repeat the season and serving process.